eCommerce Growth Engine (EGE) is a feature rich multi-channel eCommerce platform, which seamlessly integrates with Microsoft Dynamics ERP systems, designed for businesses hungry for growth. Our EGE solution, unlike any other eCommerce solution in the industry, is the only complete eCommerce solution available in the market. It not only gives the tools required to attract, convert and retain your B2B and B2C customers but also integrates with back end ERP system for streamlined order fulfillment. The solution will help Retailers, Manufacturers and Distributors grow their online sales and establish themselves as a global brand; paying not only for itself but also for their Dynamics ERP systems. No matter the size of your business you can leverage EGE’s scalable, multi-channel and feature rich eCommerce platform to attract and retain customers with little incremental effort. EGE’s eCommerce platform is powered by Magento which is adopted by more than 240,000 merchants worldwide. 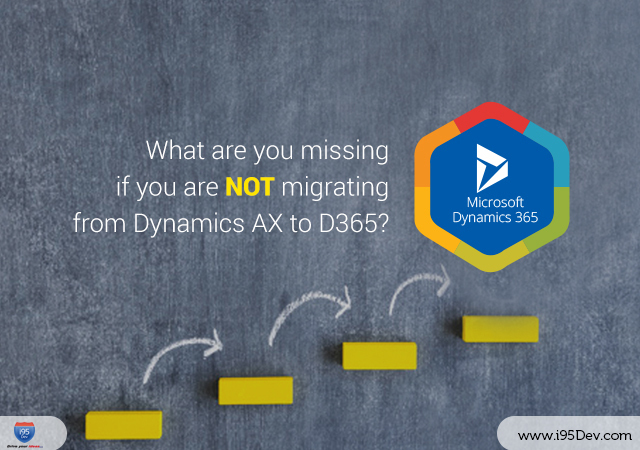 Eliminate unproductive, repetitive and error prone manual tasks with Dynamics ERP integration. EGE seamlessly synchronizes customer, product, order, etc. information from all channels with the ERP system. Results: streamlined business processes, efficient inventory management, increased productivity and improved operational efficiency. Keep customers loyal to your brand with tools to keep them coming back to your store again and again. Leverage EGE’s powerful features like wish lists, gift registry and store credits to better engage them and features like reward points and private sales to encourage them to buy more. Provide your B2B customers the same enhanced customer experience as their B2C counterparts using B2B modules like B2B Frequent Order, Credit Limits, Net Terms, National Account Support, Bill Pay, etc. Not only that, you can now empower your sales representatives to better serve your customers by offering them sales portal like functionality from the same platform. Stand out from the crowd by providing your customers the ultimate shopping experience using EGE’s advanced B2C modules like sales literature module, multi-address checkout, split shipment and payment extend, etc. 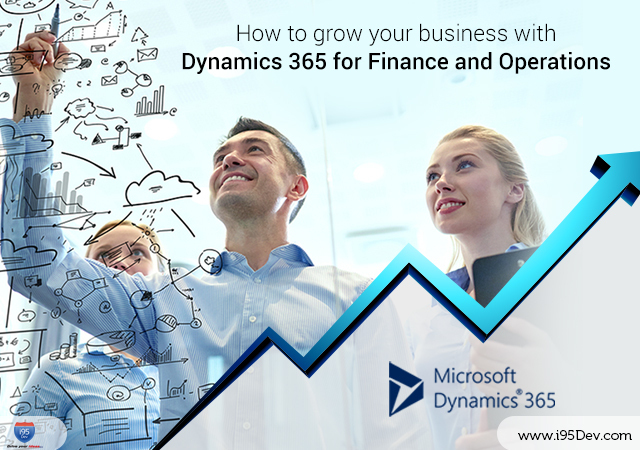 These modules give your customers the much needed flexibility they need without increasing the overhead by syncing the required information back to the ERP system. Take advantage of our exceptional support and platform’s flexibility & scalability to customize the look, feel and functionality of your store to your specifications. Let your customers experience your brand irrespective of the channel they interact with you on. Increase sales by reaching your customers across platforms like web, mobile, social media, telesales and online marketplaces with little incremental effort. With EGE you can now manage sales across all these platforms right from your eCommerce store. If customers can’t find you, they can’t purchase. Leverage EGE’s SEO to maximize your exposure with SEO friendly URLs, Google site map and customized meta tags. EGE’s advanced content management platform also allows you to enter quality, keyword-rich content for your products to drive search traffic your way. Improve customer experience and profitability by segmenting customers and personalizing marketing and promotion activities. Further, use custom coupons and product recommendations to improve conversions and increase revenue by generating more cross-sells and up-sells. Never lose a customer at checkout because of lack of support of a payment gateway or shipping option. Give your customers the ultimate flexibility by letting them choose from over 90+ payment gateways and their favorite shipping carrier. Returns are a long and complex process involving multiple team and systems. With EGE you can not only convert returns into future sales by offering store credits in lieu of return by also streamline this complex process by automating information sync with the ERP system. Your customers can shop with confidence on your eCommerce store as Magento is PA-DSS compliant and it encrypts data for secure transactions. Further, all communications with your Dynamics ERP system are also encrypted to give you and your customers a safe environment. Provide consistent product information across channels by managing product information in one system and syncing the same to all other channels. Failing which you will not only find it hard to maintain these diverse channels but also have an adverse impact on customer experience and brand image. Empower your customer representatives to better service your customers by making all the relevant customer information (personal information, order history, payments history, returns, outstanding invoices, etc.) available on their fingertips. Efficiently manage inventory and avoid overselling your products with EGE’s seamless inventory sync with your Dynamics ERP system. With updated inventory information you can now better manage customer expectations by displaying appropriate messages for out of stock products, automatically raise request for replenishment, and much more. 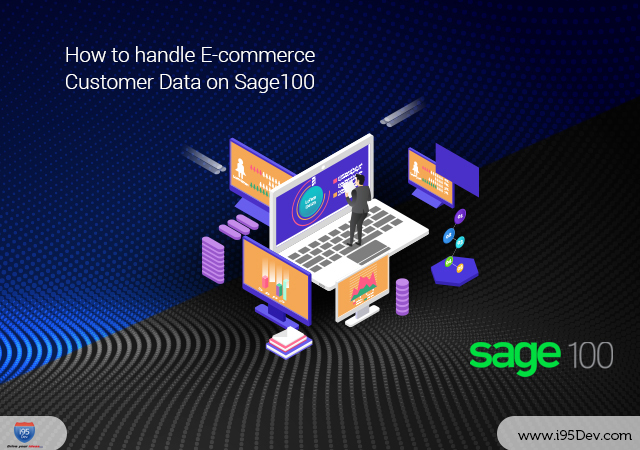 Minimize order aging by automating the order movement from eCommerce store to Dynamics ERP system to warehouse to shipping to customer without any manual intervention. Further improve customer experience by keeping customers informed about their order status and shipping tracking number. Customize your customers’ shopping experience to their requirements by offering them special prices or letting them purchase on credit. EGE will further sync this information back to your ERP system to streamline your account and order fulfillment process. Leverage Magento’s powerful and easy to use reward point system to offer programs to increase customer loyalty. You can set and manage incentives to reward your customers for registration on your site, writing product reviews, referring friends to your site, etc. and also manage points redemption. Leverage Magento Enterprise features like Private Sales to create exclusive shopping experiences for your most valued customers and prospects. You can set up invitation only offers, time bound promotions with countdown timer and more. You can now create customized email reminders based on frequency, cart value, quantity and more, with coupons to incentivize purchase. You can also improve conversions and retention by sending friendly reminders about abandoned shopping carts and wish lists to sidetracked shoppers. Often customers abandon shopping carts because they did not want to buy them then. Help customers keep track of such items and remind them to return to your site to buy them using Wish Lists. You can also create matching promotions for your customers to trigger purchases. Gift registry and gift cards are a great way to boost sales, bring new shoppers to your site and build customer loyalty. These enterprise features are easy for you to setup and easy for your customers to use. With returns being an important part of every business, businesses have the option to either refund the money directly into the customer account or adjust the same amount towards a future purchase using store credits. With ability to create, modify and approve sales quotation online your customer can now quickly negotiate and convert quotes into orders. The module extends the same functionality to your eCommerce administrator while syncing all the relevant information back to the ERP system for faster decision making. Sales Person module allows you to manage sales persons, sales commission and assign customers while enabling your sales persons to access all relevant information on the move. Armed with this information they can now close more deals and better service your customers driving customer satisfaction. Now manage complex B2B customer relationships like multiple buyers from same company and their payments with ease. You can now establish parent child relationships between the company and buyers; allowing you to adjust the payment received from the parent company against invoices outstanding from child customers, reassign credit documents, and more. Payment in B2B industries is a long and complicated process; with sales happening on credit at varying payment terms. Credit Limits, Net Terms and Bill Pay modules allow you to manage this complex process online while keeping people in your accounts department happy with seamless information sync with your ERP system. Allow your customers to build a reusable list of items which can be saved and used to create orders at a later date; this goes a long way in retaining customers as they will no longer have to browse the product catalog each time while placing the order. Use EGE’s advanced layered navigation module to make it absolutely easy for your customers to find the product they are looking for. Moving beyond the traditional navigation filters helps you reduce shopping cart abandonment because your customers could not find the right product. Enhance the purchase experience of your customers by allowing them to ship items of their order to multiple addresses from the convenience of their home. Process orders partially – create multiple shipments and invoices for the same order. The added flexibility, other than helping you better manage inventory, will allow you to better service customers by shipping items currently available in warehouse and shipping the rest when they arrive. Process more orders by automating the shipment process (generating shipping labels and updating tracking number for orders in pending state), payment capture and invoice generation. The automation will enable you to process more orders without any manual intervention. Magento eCommerce cart by default does not allow you to edit orders; the order edit add-on extends the Magento functionality to allow order edits while syncing the information back to the ERP system. Magento provides you with a framework to support large and the most complex product catalogs so every item shines. You can further organize inventory by product groups, sorting options, or virtually any way you want and price by customer segment and product type. Use Magento’s user friendly, easy to use content management system to quickly build and manage custom landing pages. You can now use these to test what works the best for your customers and improve conversions, design and create campaign specific pages and more. Magento’s architecture and advanced features like full-page caching and persistent bandwidth help improve page loading times. Magento eCommerce stores are known to support tens of thousands of transactions per hour to give its customers a seamless online shopping experience. Every customer is unique and has its own requirements; no one size fit all solution can do justice to your business and processes. Our solution, including the integration component, is highly customizable and can be tailored to meet your unique workflows and processes. Our support structure is what we are most proud of; no matter what, we are always there to support you and work with you to resolve any issue that is impacting your business. 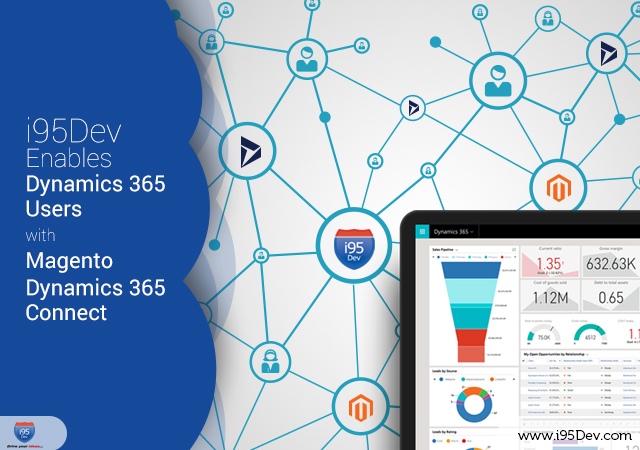 With i95Dev you can remain focused on things most important to your business, your customers. With active partner and developer community you now have access to hundreds of existing apps and extensions (free and paid) to extend the functionality of your eCommerce store quickly.